See lives of people, not just names — only on Fold3. Read why using the census is better on Fold3. 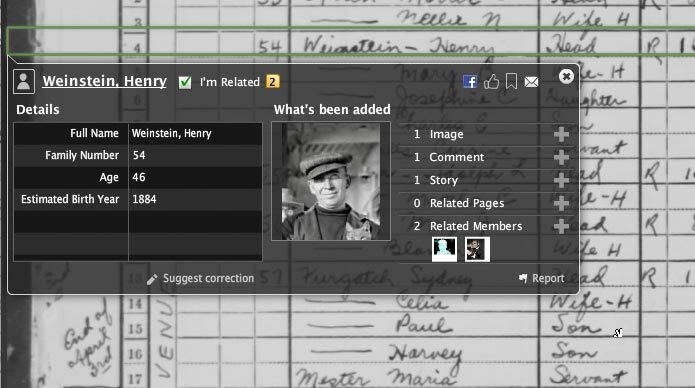 Fold3’s US Federal Census Project takes a remarkable resource and makes it better for historians and genealogists by letting anyone quickly enrich it with photos, documents, stories or other facts about a person. 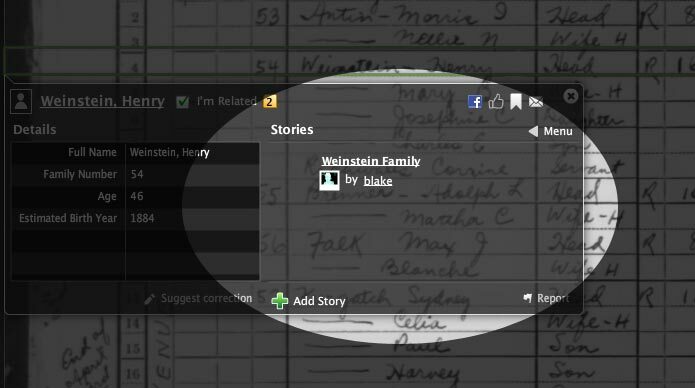 Other sites require you to share an entire family tree to show your relationship. On Fold3 it's different. 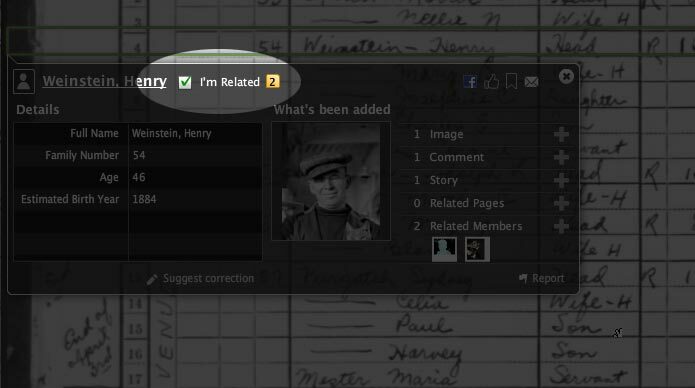 Simply find your grandfather, mother or other relative and click "I'm Related." That way you'll improve your chances of connecting with others who can help tell the rest of their story. Click the “Add to Gallery” button and you’ll be notified when anything new has been added or changed to the person you are interested in. Want to share what you’ve found or added? 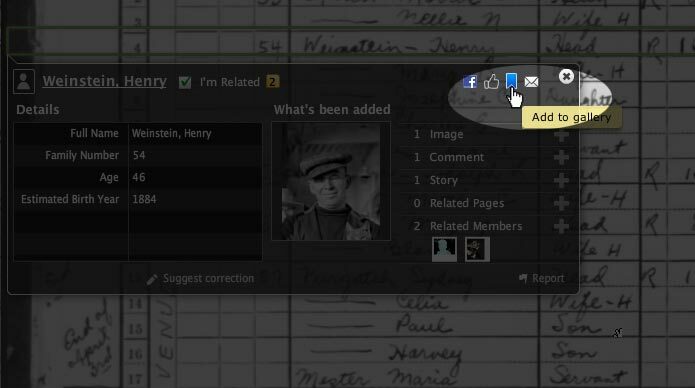 Just click the “Share” button or share with your friends on Facebook to see any census page. Your friends don't need to be Fold3 Members to view it when you share it. What do you remember of your grandmother or father? Did they walk you to church on Sundays or sneak caramels into your hand when Mom and Dad weren’t watching? Share your memories and see what others remember too. 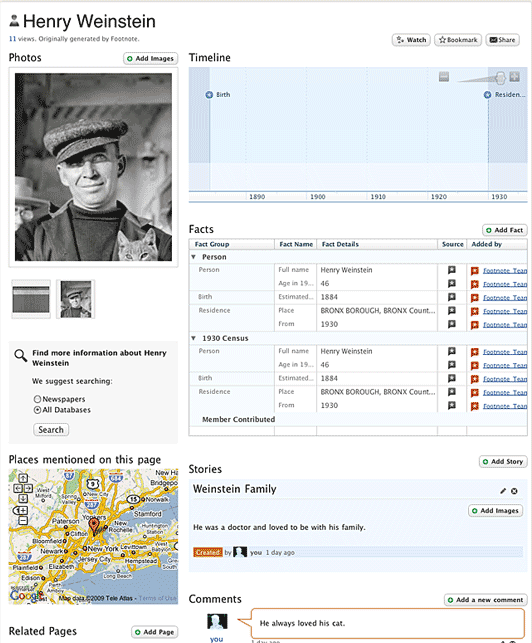 Memories and photos added to a person in a census will automatically be attached to a Fold3 Person Page, which shows all events on a timeline and maps important locations of that person’s life. More details means your Person Pages will be more findable by search engines like Google and Yahoo. 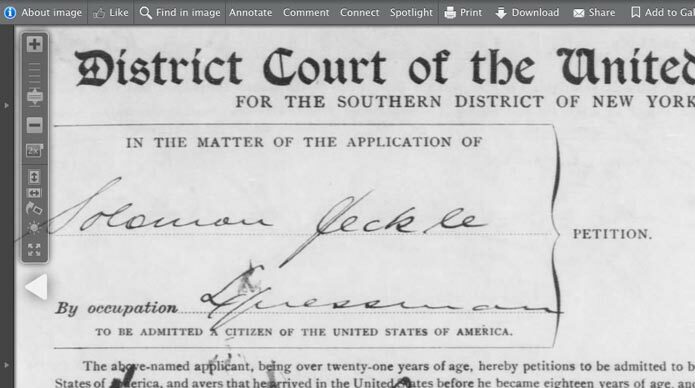 Connect any documents you have access to on Fold3—like city directories, naturalization documents, service records and newspapers—to your Person Pages. Where can the census lead you?